One of my favorite patterns shows two entwined fairies or cupids flying toward roses. 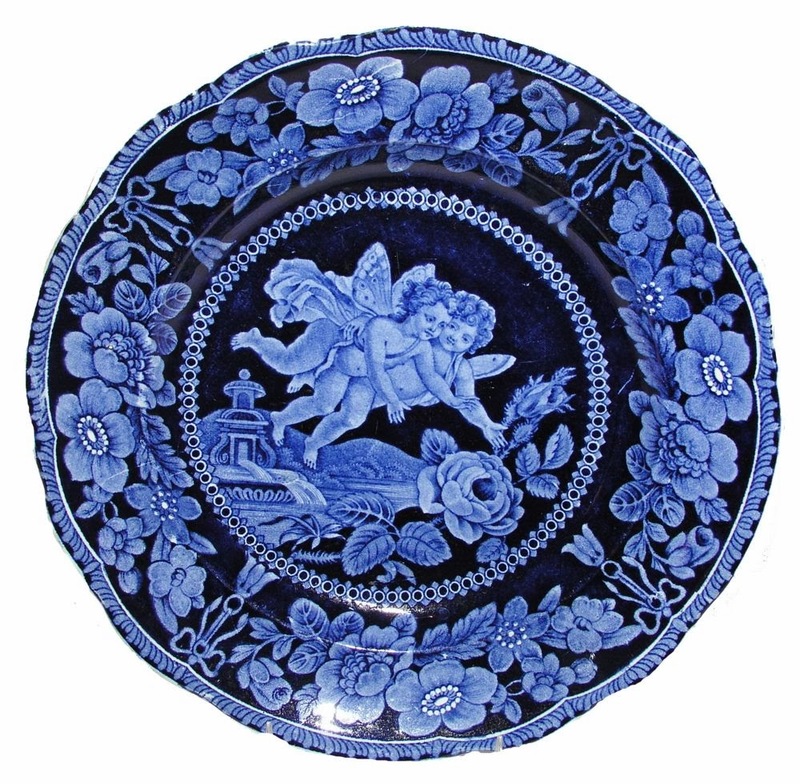 It was made by William Adams III (1804-1829) in dark blue for the American Market. While visiting my friend, Dora, I noticed she owned more patterns from what now appeared to be plates from a series. I wondered if they were part of a dinner service, but so far only plates have been found; no platters or serving pieces. 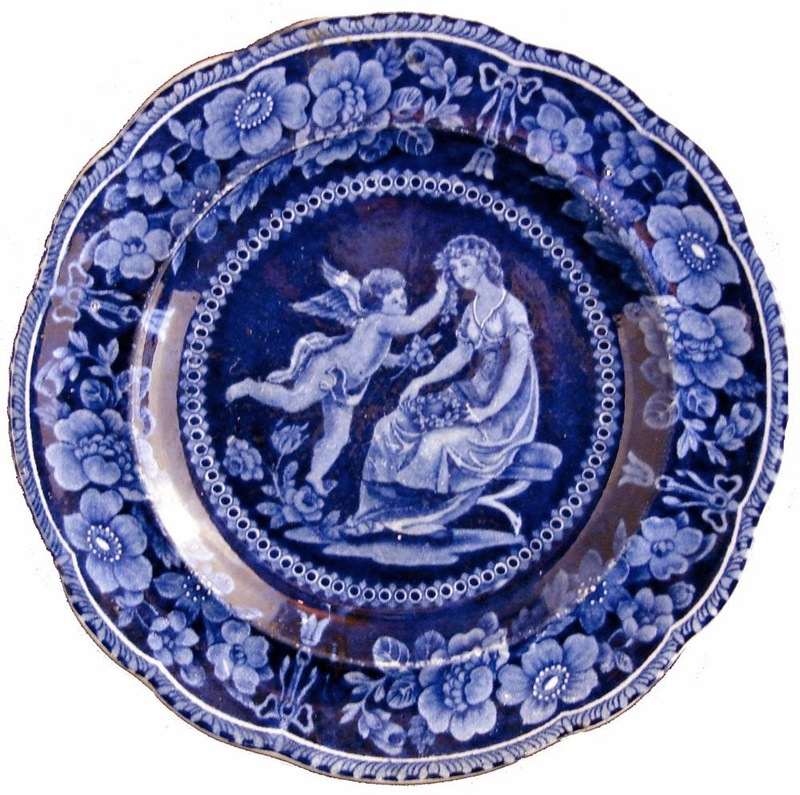 A few years ago, Sara Avins-Gagnon wrote an excellent article for the Transferware Collectors Club Bulletin titled Falling In Love With The Cupid Series. She suggested that the inspiration for the patterns is the 1805 poem by Mary Tighe (1772-1810) titled Psyche, or the Legend Of Love. It tells the story of the love of Cupid and Psyche (like most myths, there are many trials). Take a look at the poem. Lovely reading for Valentine's Day! 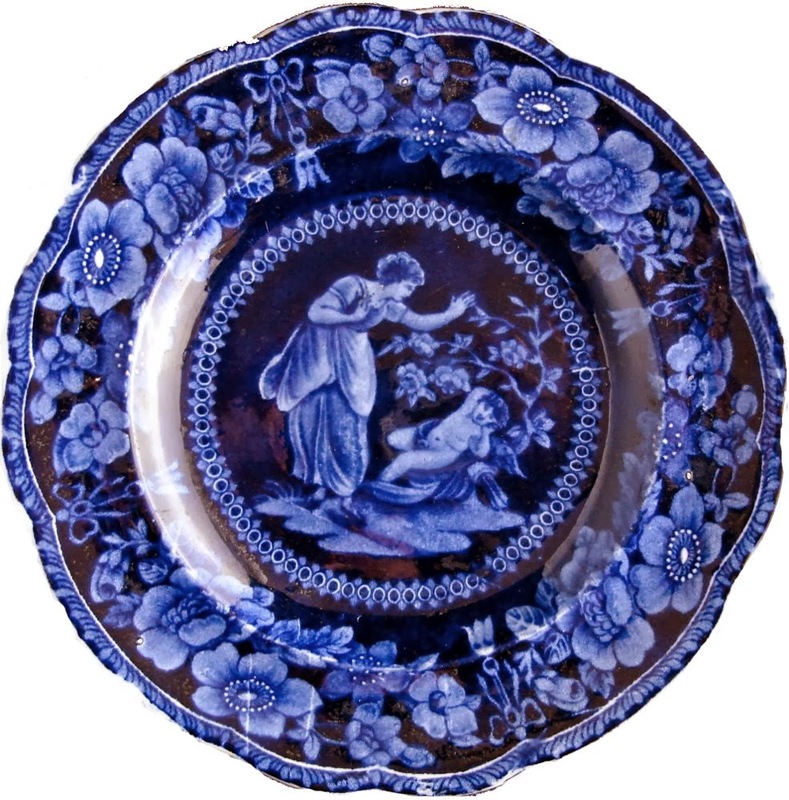 But not as lovely (to me) as the plates. What a fabulous rich blue! I've never seen these in the UK. 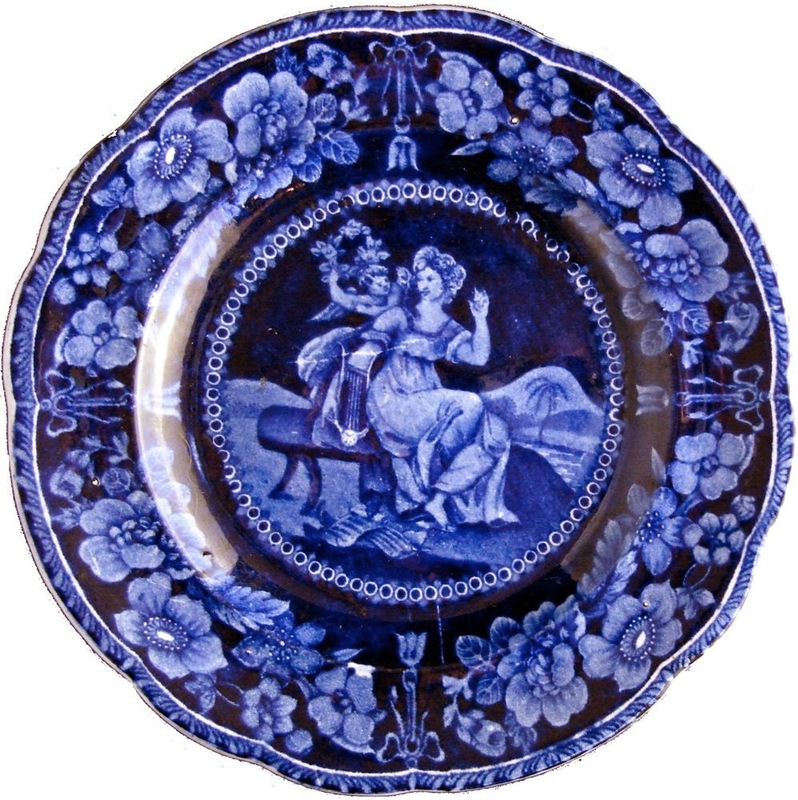 Dark blue was made for the American Market in the 1820s. For example, most of the scenes of historical America were printed in dark blue. Some of the factories that made dark blue for the U.S. were Enoch Wood, William Adams, John Hall, Stubbs, Riley and many more.